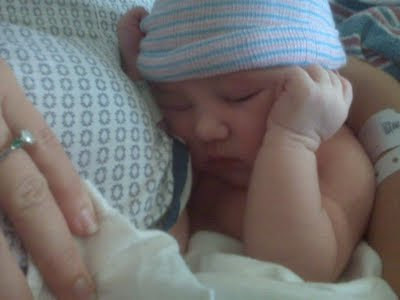 My little girl came into the world after a long and frustrating birth. 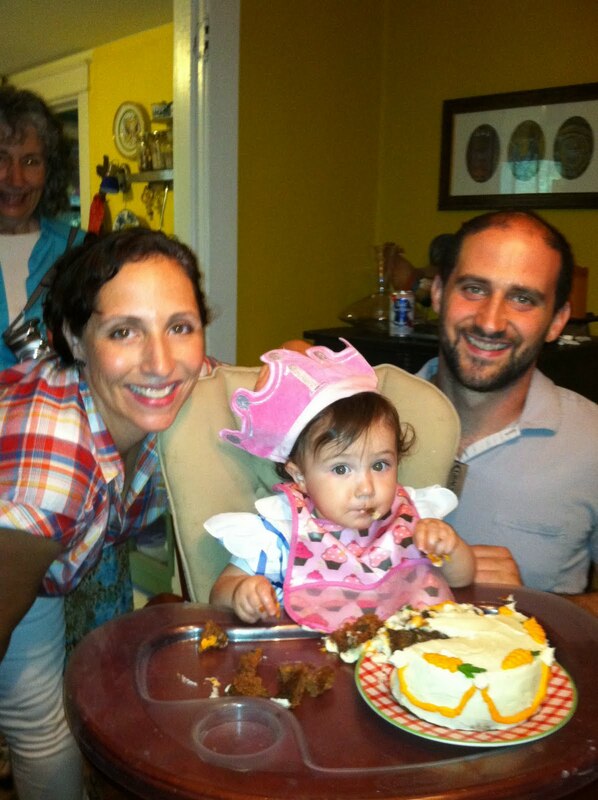 With the help of time, her challenging 24-hour long entry into life becomes less and less emotional and is replaced by the wonder and joy of her birth and some of the happiest moments of my life spent with her and Daniel in those first days and weeks. What a beautiful time. I look back on the last year and cannot believe how much we've been through together. I think the first birthday of a first child is especially momentous, not least because what you are celebrating is the growth and change in you as a new parent as much as the incredible growth and change in the baby. Making it through the first year virtually unscathed, maybe a little tired, but mostly just grateful for the gift of this beautiful child is enough to celebrate. And then there is this perfect child that you love more than you ever could have imagined and her first birthday becomes something particularly sentimental, emotional and important. Even though June is now mostly (and finally) sleeping through the night (thank God), I awoke at 5 a.m. this morning and looked at the clock until it said 5:24, the exact time June was born one year ago today. Daniel was at my side in the hospital and we held our baby girl and cried, all three of us overcome with the emotions of that moment of meeting each other for the first time. She was so obviously healthy and robust and strong willed, having chosen exactly the right moment to be born, regardless of the plans and the vision I or anyone else had. She continues to be strong and feisty, intense and funny, and a joyous little girl. It seems appropriate now to look back and see how far we've come as a family, how June's presence in our lives has changed us and turned us into parents, something I've always thought was one of the toughest jobs there is and that is now confirmed by first-hand experience. When you decide to have a child everyone tells you that "your life will change forever" and that "your life is no longer your own," and all that is true. But it's true on a level that you can't really accept until it happens and how you react to that can be one of the biggest surprises and learning experiences of the whole parenting thing. It determines a lot whether you accept this wholeheartedly, or some part of you resists it. For example, I remember worrying while I was pregnant with June about how much I would miss my former, childless life and fretted about how I would ever go back to work and "be a productive member of society" (I actually wrote that, as if being a mother is not being productive and contributing to society enough) and when and what would I do "just" taking care of a baby all the time. That all seems like irrelevant and unnecessary worrying to me now. I don't mean that I don't sometimes have moments when I wish I was free to just go get a haircut and stay out until late and take a bike ride in the morning by myself. What parent of small children doesn't wish for more time to themselves? The last year has been full of sacrifices that I knew I would have to make, but that nothing prepared me for making and nothing surprises me more about myself than how I've made them. I guess being an older mom probably makes me more ready to make these sacrifices than my friends who are younger moms in their 20s and 30s. 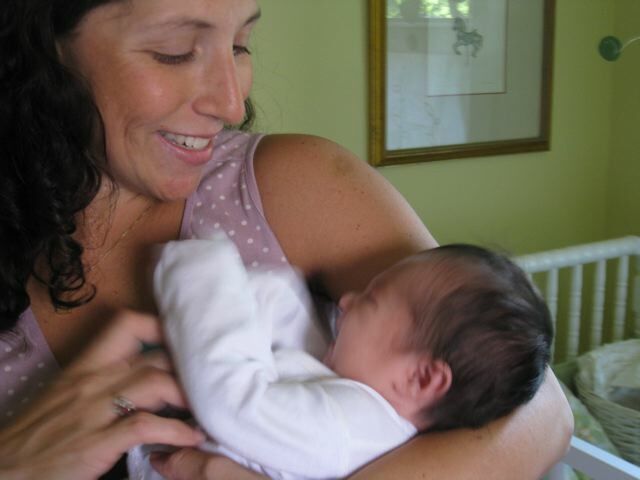 I did whatever I wanted for the last 40 years of my life (well at least the last 20), and I had some amazing experiences that I am so glad I had *before* having a baby. I've been to Europe more than a dozen times, I attended conferences all over the world as an academic, studied and lived in Italy for months at a time, taught in some top notch colleges, went to Spain to study flamenco from the masters when I was 25, lived in Seattle, Oregon, Colorado and Rome. I miss those days of traveling unencumbered by anything but how much money I had left in my bank account (which even that hardly ever stopped me). But I don't ever want to go back to that. It would seem so lonely to me now. Now I look forward to sharing those kinds of experiences with my husband and daughter. I can't wait to take her with us on all kinds of adventures: to Colorado (my birthplace and where I consider home) for the first time; to Italy--my adopted second home and where I feel most comfortable; maybe to Mexico or Argentina, where I long to go and learn more of the language and the cultures; and all over the U.S., most of which I haven't seen myself. We will take those trips, and more. And it will be all the more enjoyable because I have June and Daniel to share it with. Some of the challenges June and I have faced have brought us so close together. I know how cliché that sounds, but it's so true. Breastfeeding was very difficult for us at first. It was a huge sacrifice until we got the hang of it, probably the most difficult one of all because you are giving your baby everything you have and suffering through it the whole time. It made me cry several times and I did not look forward to it every 2-3 hours all day long. 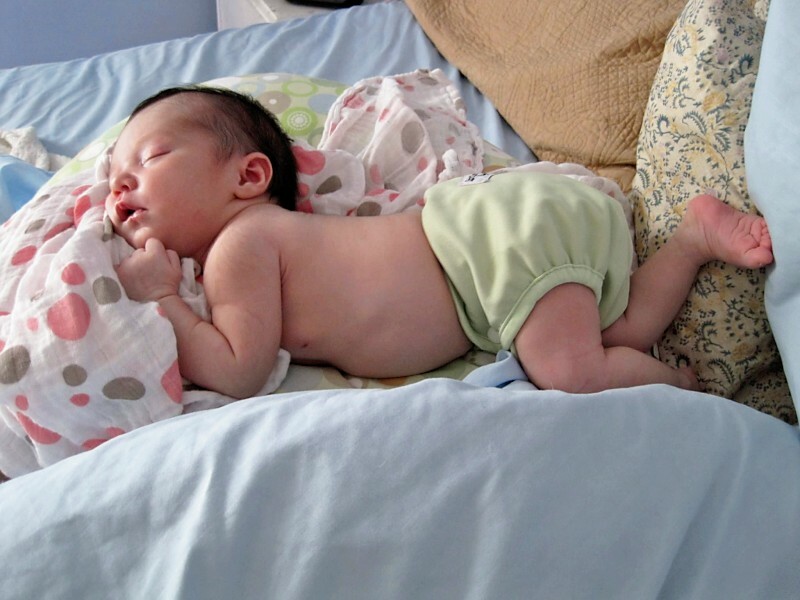 But then, one day, things changed and all of sudden we were doing great and she was gaining weight rapidly and it no longer hurt and I felt a sense of accomplishment that I was feeding my baby with nothing other than my body --something no other accomplishment in my life has compared to. Sleeping has been another challenge. 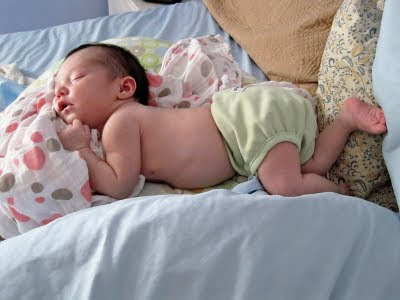 Just like she entered the world, on her terms, June's sleeping patterns were also going to be on her terms, not mine. She taught me early on that she would decide her schedule and she would take her time becoming a better napper and sleeping through the night. She took 10 months for the former and a whole year for the latter. But I learned patience and perseverance and I got exhausted and grumpy in the process. But again, I knew it would eventually change and it did. We shared a bed and our sleep became synchronized and that was lovely and worked for a long time. Until it didn't and Daniel and I were being awoken a few too many times and the night nursing (or "snacking") became unbearable. That's when we moved her to her own bed and the transition went surprisingly well. Maybe that's because I didn't listen to everyone who claimed we were "spoiling" her and putting her in danger of never being able to sleep alone, and I listened to my instinct that said she will do it eventually, when she is ready, and then it will go easier for all of us. I am proud of myself for sticking to that and for getting through that sleep-deprived time without losing my mind (though it almost came to that). There are many other challenges and milestones and things to be proud of about our first year together. And I am sure there will be many more ups and downs and major hurdles as well as monumental joys. It's hard to believe but she is almost walking and "talking" a lot, she's very social and fun-loving and what I am most proud of is that because of all the sacrifices we've made in the last year, she is a sweet, loving, secure and very happy child. 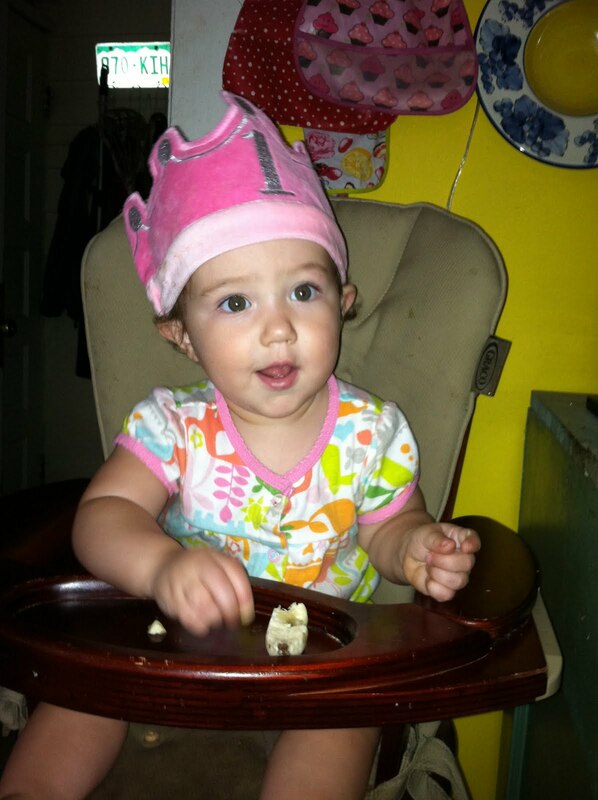 Happy 1st Birthday to my little Junebug! It was my husband's first Father's Day and I thought it deserved a special celebration. 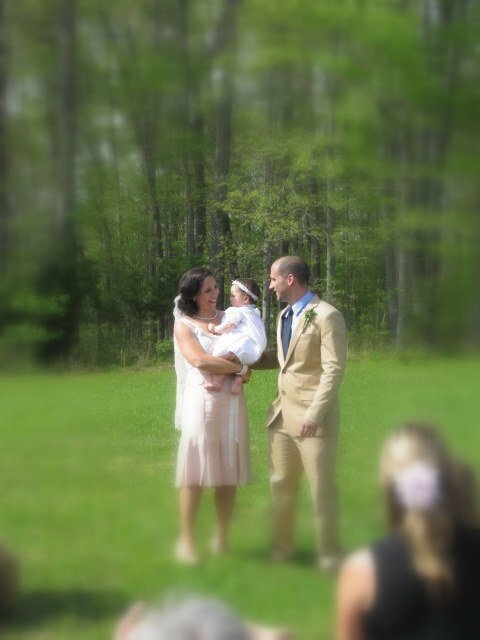 It's hard to believe our first year as parents is coming to a close (June will be one year old a week from today) and as I plan her first birthday party, I am reliving the memories of a year ago: the pregnancy, the birth, the bliss of our first few days and weeks as new parents. And, most of all, we are really enjoying getting to know her as she grows into the cutest and sweetest little girl, her personality lighting up our lives on a daily basis. Of course, the year has not been without its challenges, most of all in the sleep department. But June gave her daddy and I the best present of all the other night: she slept through the night (almost) for the first time in her life! Which meant that mom got some rest (finally) and was not a huge grump all day long. It also meant I had the energy and desire to cook a feast for my hubby and his family who came over to spend the day with us. I wanted to use the grill since that always seems like a Father's Day thing to do, even it means the dads usually end up "manning" it while I'm busy in the kitchen with the other dishes. But I'm not really a huge fan of grilling meat, or fixing meat in general. But I wanted that summer flavor that the grill imparts and also didn't want to have to turn on the stove on a hot summer day. 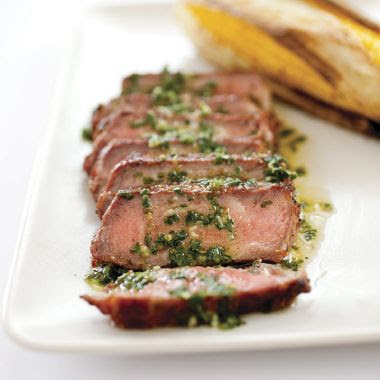 I found a great recipe in Cook's Illustrated for Grilled Argentine steaks with Chimichurri sauce. Perfect. Has Father's day written all over it. I bought three smallish sirloin steaks from the Turnip Truck. I made the sauce in the morning --a delicious mixture of cilantro, parsley, garlic, red pepper flakes and oil that would make anything taste great. The recipe for grilling the steaks called for a few unusual steps that promised to give the meat that Argentine taste of "churrasco" or wood-infused flavor that comes from grilling over an open fire. Also, it promised to yield a steak that was perfectly charred on the outside, but still moist and juicy on the inside. Let me just say that it delivered on all counts and was probably the best steak I've ever made at home. Those unusual steps were to sprinkle a mixture of kosher salt and corn starch on the steaks and then put them on a wire rack over a sheet pan and into the freezer for 30 min before grilling. It also called for using wood chunks (preferably oak) on a perforated aluminum pie plate while heating the grill on high for 15 min with the lid down. Then, move the wood to the side but keep it in the grill while cooking the steaks. This is what produces that smoky, delicious and subtle essence of burning wood. Man, were they right. The meat, perfectly grilled by my father-in-law to medium rare, then sliced thinly, the chimichurri sauce passed at the table to pour over it, made for a near perfect steak. And I'm not a steak person. To go with it, I made veggie skewers with red and green peppers, red onion, mushrooms and zucchini that we threw on the grill while the meat rested. And a French potato salad made with a vinaigrette of olive oil, red wine vinegar, parsley and lots of fresh herbs from our garden. Yum. And for dessert, I made this peach thingy I saw in Martha Stewart Living, July. An easy summer dessert made of store-bought angel food cake, fresh peaches which are really good right now and whipped cream, layered in a loaf pan and put in the freezer just long enough to set and slice. It was a hit and so very easy! It was a lovely day and a feast worthy of the best dad in the universe, next to my own, of course.